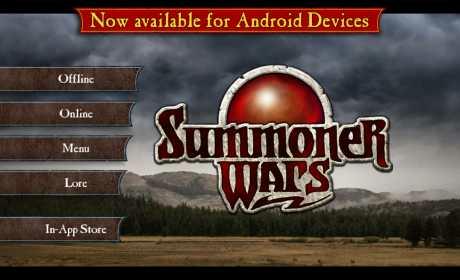 Summoner Wars is now here for Android devices, with Online Cross Play ability! 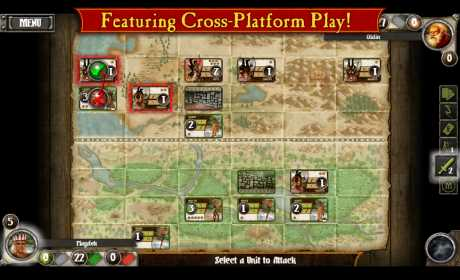 Summoner Wars for Android is a digital card game with all the tactical elements of a board game. Summoner Wars for Android allows players to control the Phoenix Elves faction and battle against AI opponents or go online to play against others. 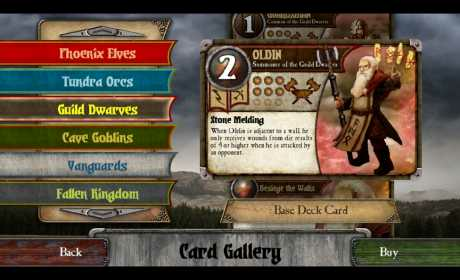 Nine additional factions such as the Tundra Orcs, Guild Dwarves and Cave Goblins are available through the game’s in-app store. For those who wish to take the game to the next level, a deck-editor allows players to select the cards in their factions and reinforcements to build a custom deck to play with, within the confines of the rules. Changing cards can affect game play, making the game infinitely customizable.